IAAB’s Campus Action Network, known as I-CAN, is a national network of affiliated Iranian American student groups and representatives from university and high school campuses across the country. I-CAN participating organizations help shape IAAB's programs, thereby ensuring that IAAB meets the needs of students. I-CAN leaders help guide the direction of the network and advise the network's initiatives and campaigns. 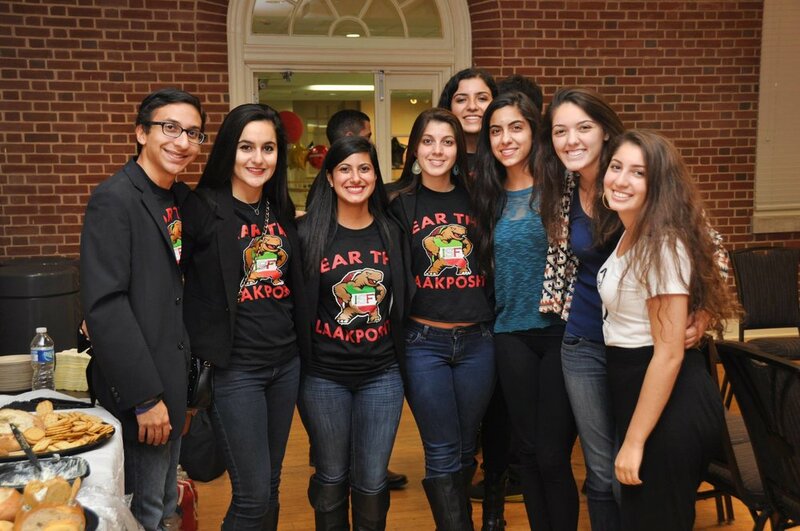 Hailed by industry experts as "highly innovative," the I-CAN resource center and portal continues to promote social networking among Iranian American student groups and connect various student run organizations. Any Iranian student organization on university or high school campuses can become an affiliate of IAAB Campus Action Network (I-CAN). To become an affiliate, please email IAAB with your student group name, school name, and contact information to ican@iranianalliances.org. Once you are a part of I-CAN, your group will then receive introductory information from IAAB, a list of resources that are available to you, and information on how to use the online platform. Throughout the academic year, I-CAN affiliated organizations and representatives will receive support from IAAB staff and a nationwide network of volunteers. I-CAN is a network of affiliated student organizations and representatives. IAAB’s intention is not to shape the programming or direction of student groups, but to offer tools that will help strengthen each group’s capacity to build successful programs and initiatives. While all types of Iranian-American student groups and organizations may affiliate with I-CAN, IAAB specifically will not endorse any political and/or religious programming in any shape. IAAB is a non-political, non-religious organization that serves the entire Iranian diaspora community, and therefore will not endorse any divisive programming. I-CAN leaders members will be invited to convene at the 2018 IAAB Conference at New York University. The IAAB Conference will include panels, workshops, and convenings tailored to I-CAN members. Details for Student Summit 2018 have not yet been announced. Register for IAAB's newsletter to receive future updates.